The first-ever UTA Night with the Dallas Mavericks will be held Wednesday, Feb 13, at 7:30 P.M. Discounted tickets start at $13. 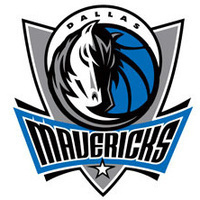 The first 100 guests to purchase a ticket will be able to enjoy the Mavs Fan Experience, which allows you to enter the American Airlines Center before the general public and sit courtside to watch the Dallas Mavericks and the Miami Heat shoot around. Instructions will be emailed after tickets are purchased. Mavericks fans will also have a chance to shoot a free throw immediately following the game. Tickets to participate in either of these exciting opportunities must be purchased via this link mavsgroup.com/UTAspirit.